Many sellers have spent too long on one side of the table to be able to relate to buyers and exactly what they are thinking. They need to stop looking at selling through a sales-centered lens. ‘It’s the economy, stupid!’ is a phrase that played an important role in the election of Bill Clinton as US President in 1992. Proof that stating the obvious is very important. Now, we have been in selling for decades, we have read thousands of sales books, we have talked with hundreds of salespeople, attended some of the most costly sales training workshops and guess what, nobody has ever stated the obvious — It’s about buying! They have talked little about how organizations buy, such as how buying decisions are made or who makes them. We have sat through hundreds of opportunity and pipeline reviews where knowledge of the stage of the buying decision, the buying unit or the buying criteria was sorely lacking. The only conclusion we can arrive at is that the sales profession has been too busy selling to think much about buying. An exaggerated view of the prowess of the salesperson is a part of the problem. You have heard it all before — a good salesperson can sell sand to the Arabs, ice to the Eskimos and even Christmas to Turkeys. Indeed, you have heard it so often that at least some part of you believes it to be true. 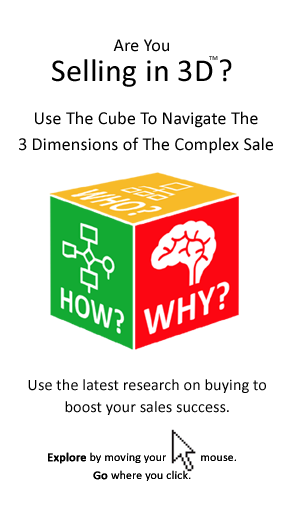 Navigate today’s complex buying processes. Shape the business case upon which the purchase decision will be made. Gain access to the executive suite or boardroom where the decision is going to be made. Indeed, most of what was considered the black art of selling is lost on buyers, who generally take a pretty dim view of salespeople. Indeed, as we will see later, one of the key challenges for the salesperson is to distance themselves from the stereotypical seller in the eyes of the buyer. 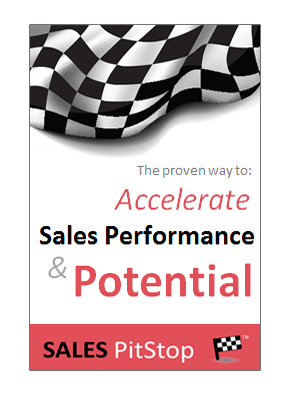 To help the buyer to buy the salesperson needs to be something more. The solution to getting buyers to buy is not selling. Buyers may want to buy, but that does not mean that they want to be sold to. Indeed, that is often the last thing that they want. They don’t want to be treated as a lead or prospect, and they don’t want to be prequalified or closed. Nor do they want to be corralled into the salesperson’s sales pipeline or funnel. The seller’s role has changed — it is to help the buyer to buy.